The Wii has some really good shooters; this is not one of them. After playing most of the shooters currently available on the Wii, I realized that I had overlooked one title in particular. 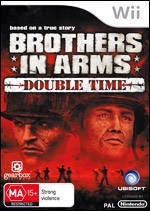 The game was Brothers in Arms: Double Time, and I was looking forward to seeing what the motion controls could add to a pretty decent game from the last generation. 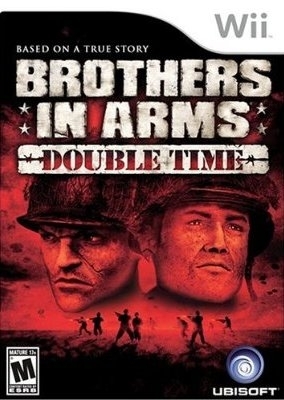 Double Time is a compilation of the past two Brothers in Arms games - Road to Hill 30 and Earned in Blood. Both games are ports of the somewhat lackluster Playstation 2 versions that came out in 2005. I knew I wasn’t in for graphical euphoria due to this, but I was unprepared for the rushed product that I actually got. Double Time is based on the true story of the 502nd Parachute Infantry Regiment of the famed 101st Airborne Division, who were dropped behind German Lines on D-Day. The game is based on the historical Mission Albany, in which the player has to complete true to life missions of the 101st. 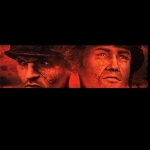 The player takes the role of Sergeant Matthew Baker, a paratrooper who is made to command a ragtag group of soldiers during the D-day invasion in Road to Hill 30, and one of his unit members in Earned in Blood. It was nice to play a D-Day campaign in a game that wasn’t related to the Beach invasion that has been played out in many games and movies. The attention that the developers give towards keeping the game historically accurate, with photographs and extra information on the real people from this squad, is a nice touch, and makes the game seem that much more special to a history major such as myself. For those that have not played a Brothers in Arms game, both games are modified squad based first-person shooters with a huge emphasis on tactics. You are the commander of a small squad of varied troops, and live or die by the orders you give them. The strategic control comes early on with the ability to command your riflemen and your cavalry units separately. All you have to do is switch to your intended unit, hold the A button and use the IR pointer to send commands to your team for attacking, movement, and suppressive fire. Gamers who've played Battalion Wars 2 will feel right at home. This plays fairly well, but the quirks of the system take some time to get used to as the transition to the Wii is not very fluid. I wouldn’t say that the system is buggy, but it's far from perfect. One major problem lies in the fact that the game's dead zone (the area in the middle of the TV in which you can aim your weapon without turning your character) is insanely large, and it takes giant Wiimote swings to get your character to turn. 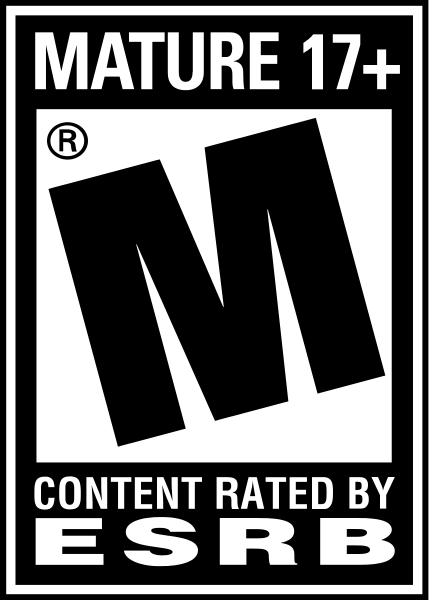 This can be rectified by switching the game to “expert mode”, but that turns it into some kind of weird light gun game. By this I mean that you become locked in one position and have free range to shoot anywhere on the screen as in a game like House of the Dead, but have to hold down a button in order to move again. This is nearly useless as you constantly have to fumble around with buttons in order to do any good. My fun with the game was strained quite a bit after my initial foray into France in Road to Hill 30. 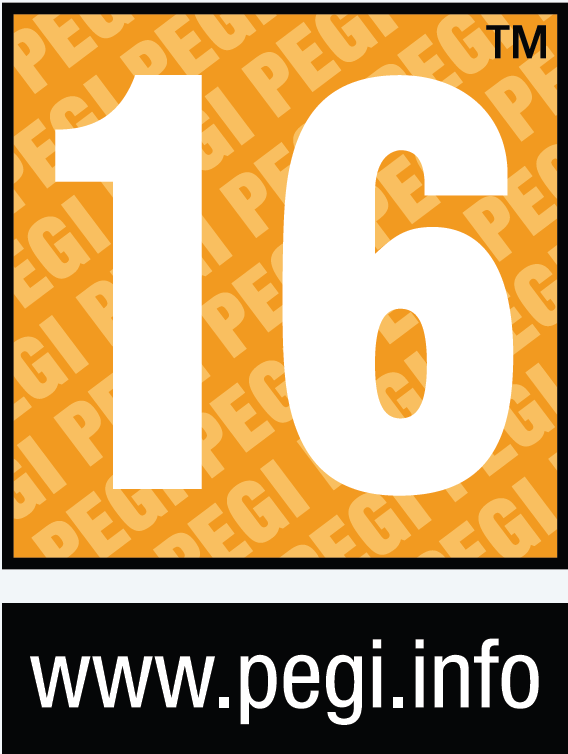 It is pretty obvious from the beginning that both games are ports of their respective PS2 versions. This is odd because the Wii could easily handle the far superior X-box version. This wasn’t a problem with Road to Hill 30, as it was nearly identical to what I had played some years ago, just with marginally worse graphics, but Earned in Blood was simply horrible. I'd never played the PS2 version before, but I can honestly see why it didn’t fare so well compared to the original. One thing about the Xbox version of Earned in Blood was that the A.I. was a vast improvement over the last game. This was not the case with the version used for the Wii, as the A.I. actually seems to get worse. This unfortunately makes Double Time feel like a cheap cash-in rather than a good, solid port of two good games. Unfortunately, the problems don’t end there. Once you begin to really amass your full unit, you will notice that the artificial intelligence on both the enemies and allies is terrible in both games. If you tell a unit to guard a position, and take cover, he will run into the fire fight guns blazing. And if you order him to stop this ridiculous action?, nine out of ten times he will stop right there and turn his back on the gunfire. After your soldier is dead on the ground, all you can do is reset the game from the last checkpoint under a veil of curse words, which your digital subordinate will never hear. Don’t worry though, the enemy A.I. is reminiscent of foes in old arcade light gun games that repeatedly do the same action over and over (like poking around a corner) and you’ll get the best of them eventually. Problem number two arises in both games almost immediately when the firefights get rough. It seems that the game cannot keep a steady framerate in even the smallest gunfight, making the game crawl a lot at times. This kind of thing usually does not bug me, as I had no problems with a similar issue in Quantum of Solace for the Wii, but the framerate drops are almost unmanageable at times. At one point we were assaulting an armored pillbox amidst heavy machinegun fire, and the game stalled for nearly three seconds. This was not just a temporary slowdown to five frames per second, but a literal stall in the game. After I realized that this happens far more than a few times, I was pretty annoyed. That was not the only technical issue I encountered, as the game froze at least four times, and various in-game glitches, like getting stuck on terrain, spoiled the fun for me. On the audio-visual front, things are a mixed bag. The graphics in both games have not aged well, and seem pixilated, muddy, and lacking in detail. I was not expecting too much, but porting PS2 games to the Wii is becoming a disturbing trend. The sound, however, is very good. The guns sound better than in most Call of Duty games, characters are voice acted very well, and the music really gets you pumped up for battle. On the value side of things, one good point stands out. If you happen to like the game, a budget price will get you some good longevity in this 2-for-1 package. With over 30 missions contained in just one box, Double Time has got to be the longest-lasting non-online shooter on the Wii, which gives you many hours of gameplay. This could have been helped a lot by adding an online mode, or some kind of local multiplayer, but alas, neither lies within the red and white box. This is truly a shame and could be seen as the straw that broke the proverbial camel’s back as both original versions included online multiplayer (on the X-box at least). The exclusion one of the most basic features of the original game pretty much kills any value it had. 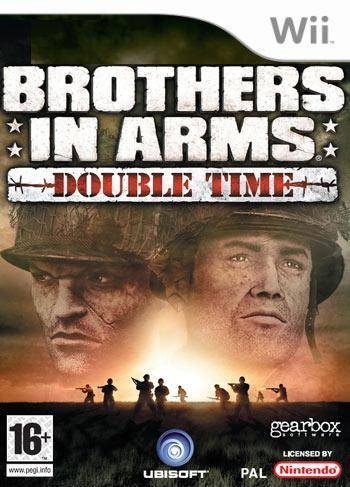 Brothers in Arms: Double Time for the Wii is a missed opportunity, plain and simple. Ubisoft could have opted to port the game over with tweaks to make it a truly good Wii experience, like with other successful ports, such as Resident Evil 4. Unfortunately this is not the case, as the Wii functionality is tacked on and does not work well. Add this to the fact that they didn't even port the best version, and the shopping list of bugs makes this easily the worst shooter on the Wii. Granted the story is told in a great way, and it's very cheap for two full games, but I would almost recommend getting a used X-box and buying them on there. Bottom line: unless you are starving for another shooter, this one is almost certainly a pass.